Like so many beloved historic aircraft, the Supermarine Spitfire was used during and after World War II. Primarily employed by the Royal Air Force, the Spitfire was produced throughout the war and employed effectively against Allied enemies. Debuting in 1936, the Spitfire was a short-range interceptor aircraft, which meant it relied on speed and performance to out-fly the enemy. In fact, it was powered by a Rolls-Royce Merlin 45 supercharged V12 engine, the very epitome of high-performing engines at the time. This resulted in a much lower attrition rate for Spitfire units compared to others, and a higher instance of victory against their opponents. 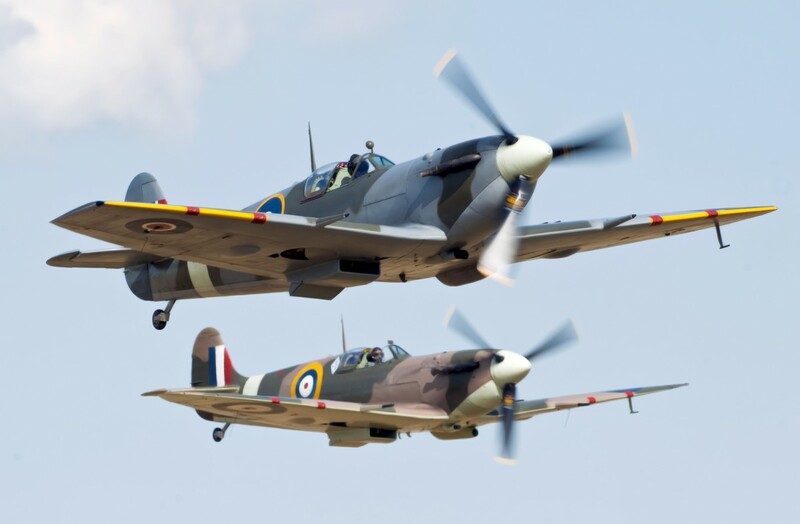 With the ability to reach an altitude of up to 35,000 feet, the Spitfire vied for its place in the sky beside the Hawker Hurricane, another popular fighter at the time, right up until the Battle of Britain. The Spitfire helped secure air superiority over Britain, and became the preferred and beloved fighter aircraft of Allied pilots. The Spitfire continued to serve in non-combat military roles through the 1950’s. While there are only about 50 Spitfires considered airworthy in modern times, there are many more on static display throughout the world. Their presence continues to draw crowds and enthusiasts even now, 80 years after the first took flight.